To Your Sites To Make The Money You Want Online?" You Can Drive Massive Amounts of Traffic, And It's All Free! My name is Connie Ragen Green and I've been online since 2005. By 2006 I had figured out how to drive massive amounts of targeted traffic to my blog and websites. I had no money in my budget for Adwords and other advertising programs, so it was a challenge to see how much free traffic I could get. Now I'm ready to share what I know with you. 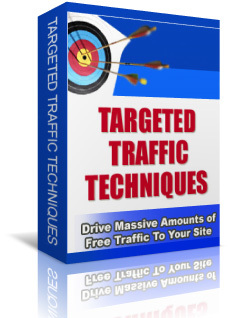 Just one of these targeted traffic techniques will change the way you do business on the Internet forever. How you can increase the search engine ranking of your sites – for free!